With the fate of their world on the line, the battlefield has become a testing ground, and only one of them can be right. Falling for each other wasn’t part of the plan—but try convincing their hearts of that. In the war against the Forces of Darkness, the Royals are losing. Princess Ivy is determined to end this centuries-long conflict once and for all, so her new battle partner must succeed where the others failed. Prince Zach’s unparalleled skill with a sword, enhanced by Ivy’s magic Kiss, should make them an unstoppable pair—but try convincing Zach of that. Woohoo! Chalk up another of my cover obsession books panning out and actually being a creative and fun fantasy tale. 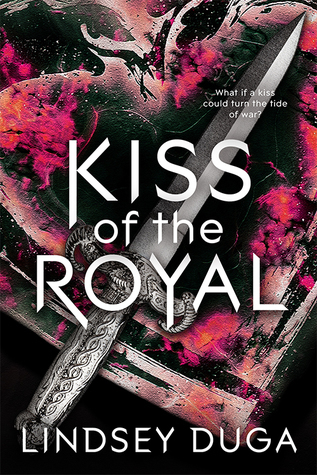 I fell in love with the cover of Kiss of the Royal by Lindsey Duga a few months back while participating for the cover reveal for this book and just knew I was going to have to get my hands on a copy and read it. Going into this one I really had no idea what to expect but maybe that was a good thing because what I found I don’t think I could have imagined. Unfortunately for Ivy she has just lost her fifth battle partner and with the forces of darkness only multiplying daily there’s not really another match to equal the power of Ivy’s magic in her kingdom. But just as Ivy is looking for a new partner help comes in from a neighboring kingdom that includes Prince Zach. Now Zach was raised by his non-Royal mother and new to the Royal forces but he’s just as fierce as Ivy in battle so the two pair up. The only problem for Ivy, Zach does not believe in Royal magic and refuses to kiss Ivy, you see Zach is a Romantica and believes kisses should mean so much more. I will be the first to admit the whole idea behind this story really may sound rather cheesy but so did those glittery vampires and look how popular they became. 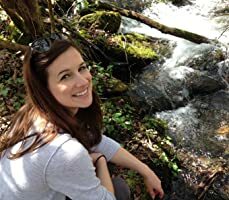 Lindsey Duga did an amazing job with the world and character building within the story so that I was sucked right in and really began to see the curses unfolding and the monsters the characters were battling. You could also feel the relationship grow between Ivy and Zach with each turn of the page. The only thing really keeping me from rating a full five stars is that it did have a bit of a slow burn to it and I’m a rather impatient person but in the end I’d give this one 4.5 stars. But by all means don’t take my word on this one and pick up a copy and try this wonderful young adult fantasy for yourself. It’s a really good title, hope they have it! Argh! I almost requested this because of the cover but stopped myself. Sigh. Lovely review Carrie, but I refuse to let you tempt me! Ok, I’m zipping up my lips and walking away…. not going to say how I think you’d enjoy this one… nope, not at all….. I am also one who chooses books based on the cover. Glad this worked out for you. Great review. Looks like there’s alchemy going on beneath the surface, here.